The cover of the UK 7″. Congratulations, Day 14! The numbers don’t lie- this has been one of the strongest days of the tournament. As a result, all four of our matches went down to the wire. Johnny Come Lately (Steve Earle) def. Vomit (Girls), 89-88.3. The closest match of the day, came down to the final voter. Someone Great (LCD Soundsystem) def. Bellbottoms (Jon Spencer Blues Explosion), 91.8-85. Hipster face-off victory for LCD. American Skin (Bruce Springsteen) def. All For You (Sister Hazel), 91.4-87.1. How ’bout that catalogue? I can’t think of many artists who have cycled more songs through these tournament formats than Bruce, but he keeps on keepin’ on. 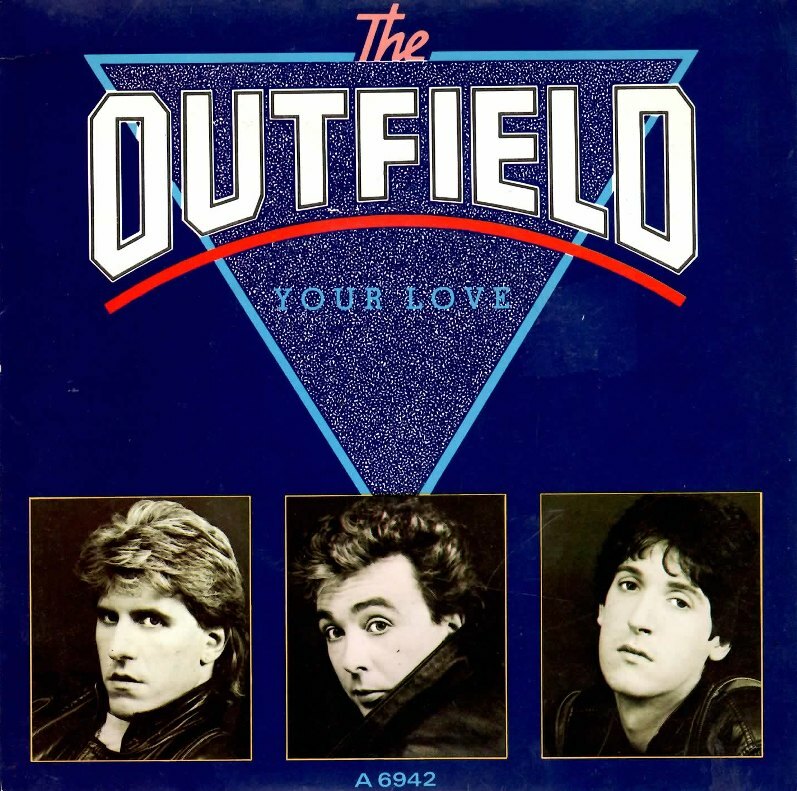 Your Love (The Outfield) def. Please, Please Let Me Get What I Want (Smiths), 99.5-95. A win, and a loss, for the 80s. This entry was posted in Music Tournament and tagged Peoples' Choice Tournament. Bookmark the permalink.